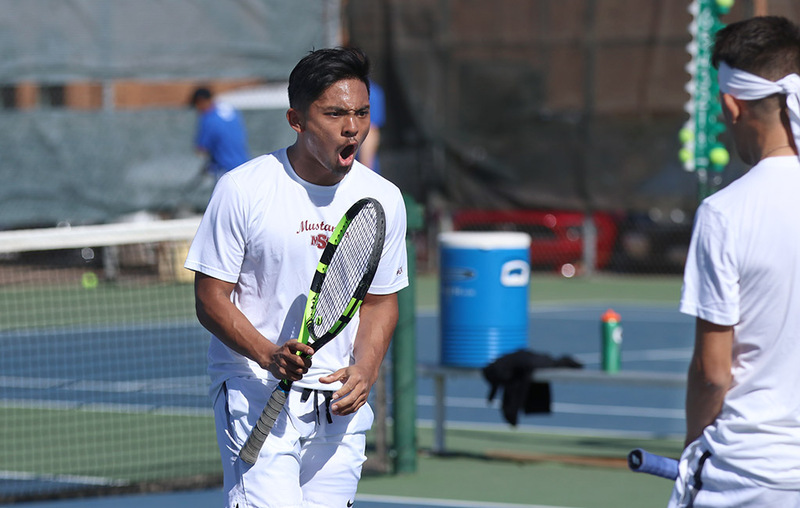 The men’s and women’s tennis teams will go into their next games on March 29. The teams will face St. Edward’s University at 12 p.m. Both of the teams are going into this with winning streaks. The men’s team has a three game winning streak, and the women’s team has a four game winning streak. “We didn’t start very great but we are improving more and more in everything. We have improved energy, leadership and owning our spots. We have big goals for the rest of the season, we know we are not there yet, but we keep working hard,” Daria Panferova, right and mass communication senior, said. The women’s team holds a record of 8-5 with 10 games left until the Lone Star Conference championship. The team won their last game against Metro-State University of Denver. They won four out of six singles matches. Maddy Coffman, right and biology junior, won her singles and has an overall record of 10-3. Ashley Ramirez, right and marketing sophomore, has a record of 7-6 and won both sets during the Metro-State game. Greta Lazzarotto, right and management junior, and Panferova won their matches in three sets. “Our commitment to one another, being there for each other and working for each other on and off the court are our strengths. It is not just about what we do on the court, but how we take care of our bodies off the court and schoolwork,” Ramirez said. 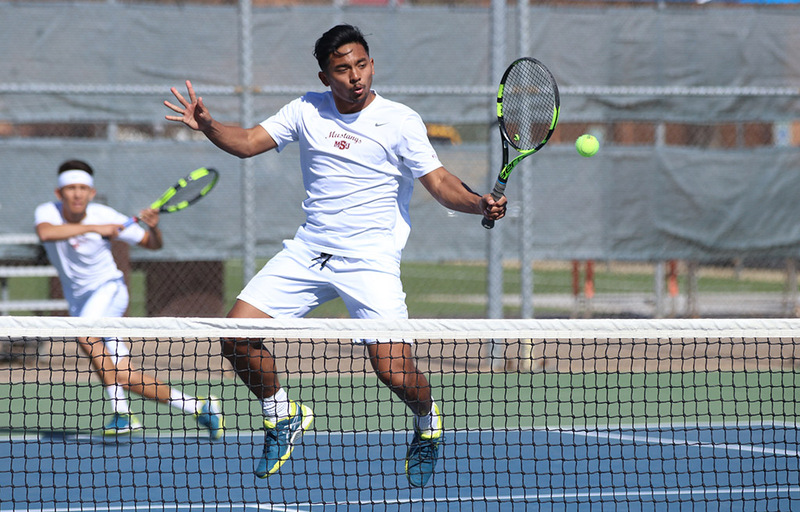 The team won all three of their doubles matches. Bianca Duff, right and psychology sophomore, and Lazzarotto won their match 9-7, they have an undefeated doubles record at 11-0. Coffman and Ramirez have a record of 9-2 and won their match 8-3. Panferova and Maddie Rowe, right and undecided freshman, won their match 8-4 and hold a record of 8-0. The team will go on to face St. Edward’s University on Mar. 29 in Austin. “We have had a few good days of practice, we just had one of the the best practices so we are definitely ready. As a team, our strength is our fight. No one on this team ever gives up in any match no matter what the score is, everyone fights until the end,” Denney Norrie, right and business sophomore, said. The men’s team is on a three-game winning streak with a 11-4 record. The team has eight games left until the LSC championship. 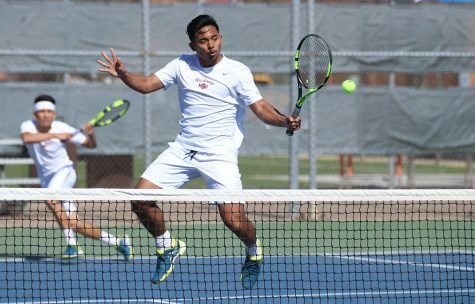 They won four out of six and Angel Palacios, right and business management sophomore, got his 13th straight singles win. Palacios record is 14-1 going into the next game. Alex Martinez-Roca, right and mechanical engineering freshman, won his singles match and has a 10-3 record. Nolan McCaig, right and criminal justice freshman, and Jean Muniz, right and undecided freshman, won their matches. “So far, it has been a good season, we still have a few things we need to work on to get to winning a national championship. So far, we have been doing everything coach asks us and working hard. We could improve on our execution, but other than that we have been doing good,” Palacios said. 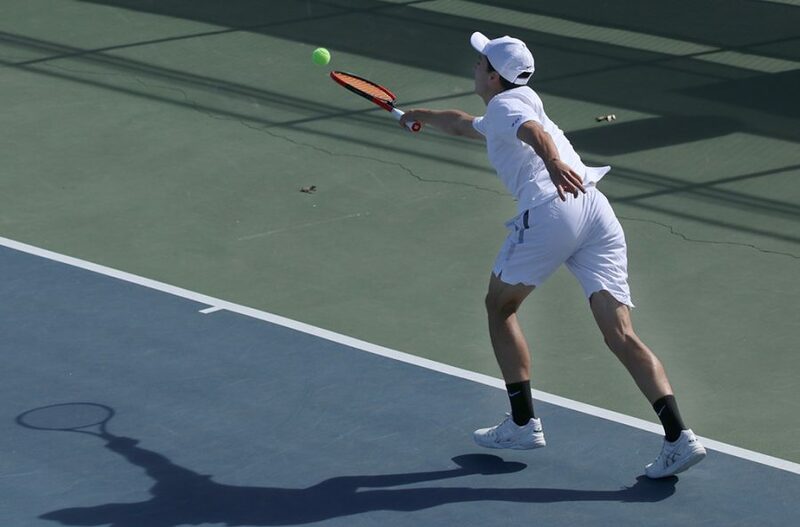 The team won two out of three doubles matches. Norrie and Vasudev Vijayaraman, right and computer science senior, won their match 8-1 and have an overall record of 11-4. Palacios and Martinez-Roca, won their match 8-3 and have a record of 11-1. The team will face St. Edward’s University with the women’s team on March 29 in Austin. The teams go into the second half of their season with the St. Edward’s game on March 29. 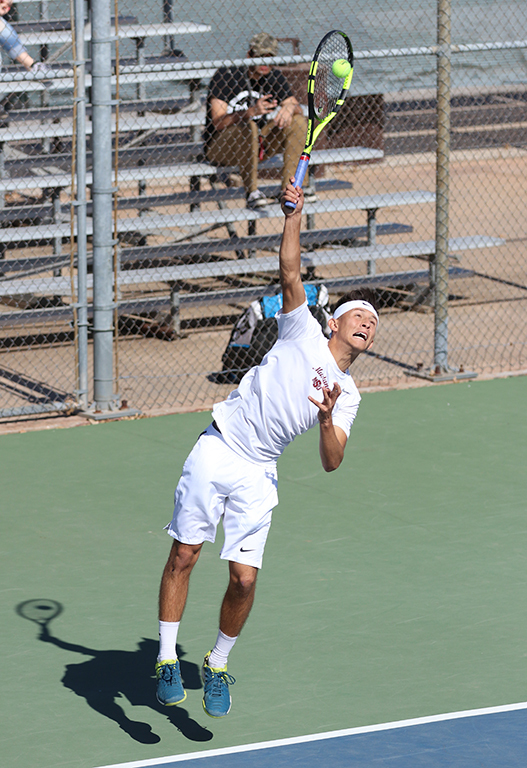 The men’s and women’s teams will return home on April 6 at 2 p.m. against Tyler Junior College.